Sherri has been writing since she was a small child. She was inspired by Ray Bradbury and Agatha Christie. She had always loved writing but has had to make a living in a varied number of ways. She worked as an actress, a travel agent and in several forms of customer service. Her passion though has always been writing. She loves and enjoys both reading and writing fan fiction. Different is Beautiful Won Gold in the The Global Ebook Awards! What follows are fascinating bits and bobs of my life. The things I have done, the people I have met, the places I have been. I have re-written the goals of my life and these experiences helped me formed them. As I write this I began to realize I have lead a hell of life! This entry was posted in radio for women, violence against women, webinars, women, women forums, women stories, womenenterpre, World free of Violence and tagged #inspirationa, #quotes, actors, acx, amazon, amazon books, audiobook, audiobooks, author, authors, blogtalkradio, books, prosperity happiness, radio for women, strong women, women, women for a change, women"s radio on November 12, 2015 by diannabellerose. others. Kim is working on an EP with award winning producer Joey Stuckey. The EP will be released in early 2016. 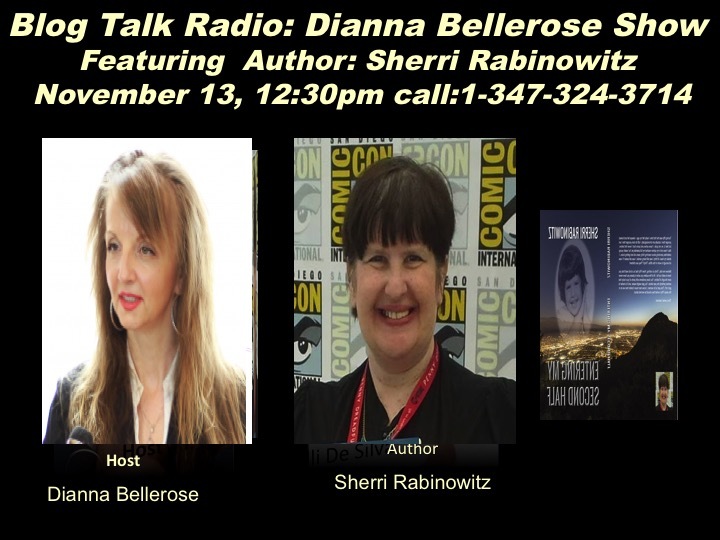 This entry was posted in amazon, amazonbooks, music, musicians interviews, radio for women, radio interview, song writing, songs and tagged #inspirationa, actors, acx, amazon, amazon books, blogtalkradio, music, radio, radio for women, radio show, radio. 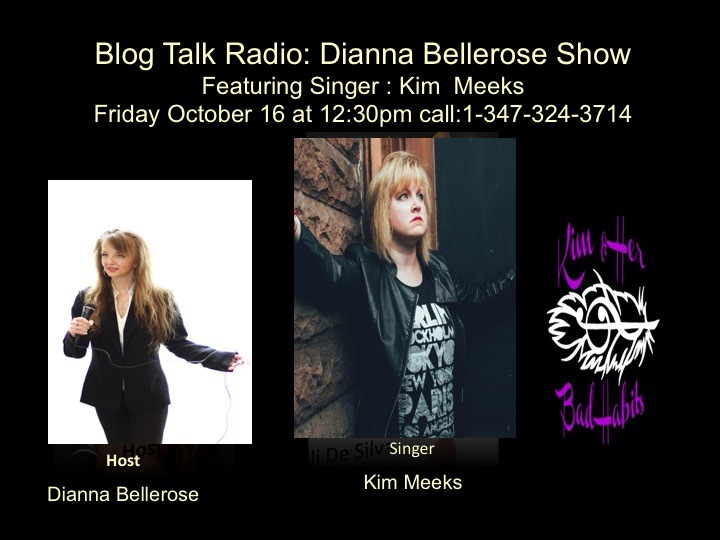 blogtalkradio., singer, women"s radio on October 15, 2015 by diannabellerose. 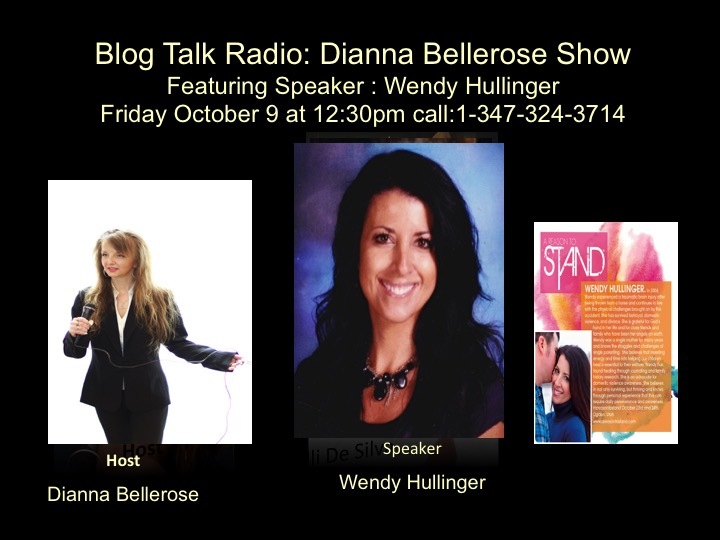 Wendy Hullinger is an advocate for domestic violence awareness. She knows first-hand the difficulties of safely-escaping and ending an abusive relationship, after dramatically ending her own 15 year violent marriage. Her message includes the fact that domestic violence is found everywhere and at all social and economic levels. Silence, secrecy, and social stigmas feed and strengthen the violence. Everyone has a responsibility to speak out if they are aware of or witness any domestic violence within their families or communities. She is grateful for those who did that for her and her children, when she couldn’t do it for herself. This entry was posted in a, abuse, radio for women, violence against women, women, women for a change, women forums, women stories, World free of Violence and tagged #inspirationa, abuse, acx, addiction, amazon, amazon books, domestic violence, empwowerment, octoberdomesticviolenceawaresness, strong women, women for a change, women overcoming obstacles, women"s radio on October 7, 2015 by diannabellerose.